In an industry where many work practices haven’t changed in multiple decades, healthcare providers often have even less work flexibility than their professional counterparts working in other industries. Pay gaps are prevalent and growing , and working parents struggle to find the time to care for their patients, their families, and themselves all at once, sometimes resulting in having to either scale back or leave the workforce. Some healthcare providers are finding a solution to struggles of flexibility and work-life balance by escaping traditional brick-and-mortar care models and embracing non-traditional care delivery options made possible through technology. Across specialties, providers are building new, technology-enabled businesses by integrating non-traditional care delivery models such as telehealth visits, house-calls, and digital health apps into their practices. With these new practice models, providers are finding improved work-life balance through scheduling flexibility and increased efficiency, while also providing more convenient and improved care to patients. “For nutritional care, continued connection between appointments and creating relationships over time are two keys to great patient outcomes,”explains Erica Jain, CEO and Co-founder of Healthie, an all-in-one practice management solution for nutrition and wellness professionals. “Telehealth (and associated technology, like Healthie) enables providers to build better relationships with their clients and to focus more time on patient care and less time on back-office administration associated with running a business,” Jain adds. “We have seen telehealth (inclusive of photo-based food logging, secure messaging, and video consultations) help nutrition and wellness clinicians find more flexibility and a better work life balance, while building businesses on their own terms, on their own schedules, and by crafting specialties and niches that they enjoy,” says Jain. Sarah Skovran RDN LD, Registered Dietitian Nutritionist and Owner at Sarah Skovran Nutrition, is one nutrition entrepreneur building a non-traditional business model that combines telehealth services and in-person visits at clients’ homes, grocery stores, or restaurants. She also offers clients the option to connect with her in-between visits via an app that enables client food logging, feedback, and encouragement. Crystal C. Karges, MS, RDN, IBCLC is a Registered Dietician Nutritionist and Owner at Crystal Karges Nutrition and a mother of five who offers mothers and family-based services via telehealth and in-home care. Karges started with telehealth as a way to “create greater flexibility in how I structured my services, both for myself and for the clients I seek to serve,” she says. Physical therapists, frustrated with the high-stress, zero-flexibility work environments of traditional care models, and are starting to look for opportunities beyond traditional clinic-based work. Litzy’s clients, both individuals and businesses, appreciate the convenient care delivery option that better fits into their busy schedules. Litzy believes that she is having greater impact through her house-call model, because she “able to get a real glimpse into how [clients] live and work so [her] treatments and home exercise programs can really be tailored to their lifestyle,” and patients are more compliant because of it. These side projects include hosting a widely popular podcast, Healthy Wealthy & Smart, creating The Women in Physical Therapy Summit, and being featured in publications and podcasts such as Health Magazine and Entrepreneur On Fire. Like nutrition and physical therapy, primary care physicians are adopting new treatment options and creating models around better patient care through concierge memberships, virtual visits, house calls, and remote patient monitoring. Dr. Kendrick Johnson is one example of a provider who has opted to build a family medicine practice that works best for him and his clients through combining house calls and telehealth visits. Offering virtual care has allowed Dr. Johnson to create more meaningful patient relationships. He explains, “When I take time to have a virtual visit with a patient, they know that my goal is to help them be well and not just collect another copay.” Dr. Johnson also suggests that by offering the convenience of virtual visits, patients are more likely to follow through with important health recommendations. With companies like talkspace, offering app and online-based mental health therapy, and the advent of HIPAA secure telehealth platforms built specifically to serve behavioral health providers, technology is furthering the adoption of new care delivery models within behavioral health. These advancements offer both patients and providers more flexibility and convenience. Bianca L. Rodriguez, MA, Ed.M, LMFT, is a psychotherapist and early adopter of non-traditional care models. She has been offering psychotherapy services via video / telehealth and home visits for over a decade. Rodriguez can better support clients if they are traveling, relocate for work, or need care in the field. She also finds flexibility, herself, by having the option to do calls from the office or at home. An added benefit? Rodriguez believes that offering telehealth services helps her better attract and retain clients, helping her grow her practice. How Can More Providers Find Opportunities in New Care Delivery Models? There are clear benefits to offering non-traditional care services – flexibility, time saving, and improved patient care, among others. These benefits are even more clear for providers who are considering leaving patient care to dedicate more time to to their families and / or themselves. Though many providers are flocking to new delivery models as a solution to burn out and work-life balance, there are still many who are fearful of the challenges they may face while starting and growing a business in such a complex industry. Thankfully, there are services, technology solutions, and companies dedicated to helping providers succeed in providing non-traditional care services. Practitioners can now find affordable help establishing legal entities, finding business insurance, managing and tracking business operations, growing a client base, and building a brand, all while avoiding the risk of costly overhead that comes from opening a brick-and-mortar location. Of course there are also challenges with building a non-traditional practice, so providers will have to weigh to pros and cons of both traditional and non-traditional options. If starting a practice seems too daunting, or a provider simply wants less risk or responsibility, joining a company or a hospital system that is already providing innovative care delivery services could be the answer for them. Additional companies like Maven, Physera, Parsley Health, AmWell, Doctor On Demand, Heal, and even hospital systems, like Vanderbilt Health System offer practitioners non-traditional care delivery options. On Managing a Business by Using Technology and Support Tools…. Are These New Models the Future of Work in Healthcare? As patients demand convenient, efficient, and cost-effective care, and payors and hospital systems are racing to find opportunities to move services to less expensive settings, the question becomes will these new types of care delivery models become the further of healthcare? Healthcare, as an industry, is generally slower to change, in part due to its complex nature stemming from the separation of those who pay for services and the patients who are receiving them. Individually, patients are sometimes more reluctant to try out new ways of receiving care, finding more comfort in old models, even if those models equate to less convenience and inferior outcomes. As such, scaling new models like telehealth, technology-enabled house calls, and digital health apps, required both a system wide shift and a build up of trust and comfort by individual patients. Many experts, agree that, despite these challenges, change will continue and innovative care-delivery models will become more common place. “I anticipate that the healthcare delivery landscape will change immensely in the next five years. Telemedicine will continue to grow, and many professions will leverage it to improve communication between patients and providers,” says Castin. “I also predict an increase in remote consultations, which will allow clinicians with specializations to provide services to a wider swath of patients,” Castin explains. Thankfully for healthcare providers struggling to find work-life balance in traditional care settings, a continued trend towards convenience and flexibility for patients, offers providers new options and changing workplace dynamics. 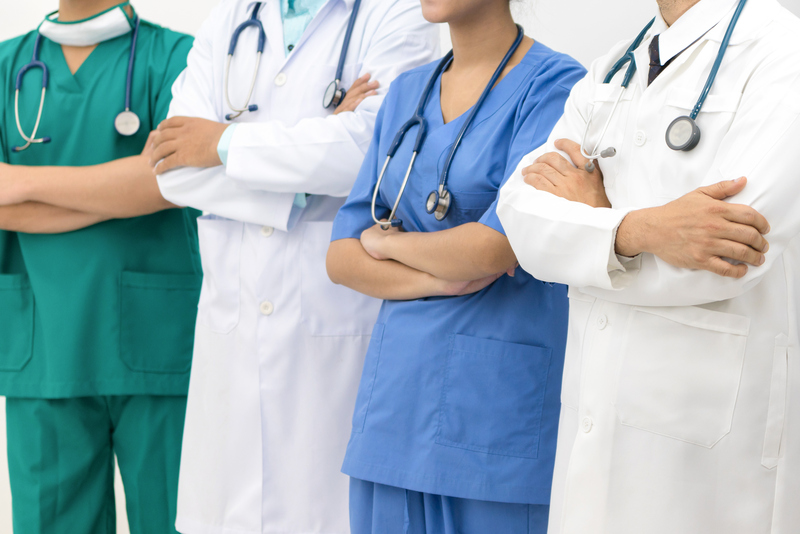 By empowering providers with new solutions and options for flexibility, the industry can make strides towards lessening the pay gap and alleviating some struggles that many providers, male and female, currently face. Does America have the most complex healthcare system in the world?